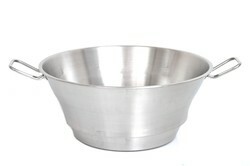 We are the leading and prominent Manufacturer, Supplier and Exporter of Stainless Steel Steamer Basket. 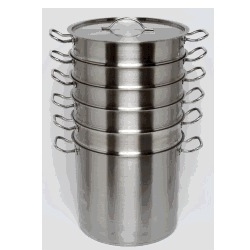 We are one of the trusted names of the industry engaged in offering a supreme quality range of Stainless Steel 3-Tier Steamers to the customers. These streamers are manufactured in compliance with the international quality standards, under the able guidance of a team of experts. In order to meet exact market demand, we make available these products in varied designs, sizes, grades and finishes to the clients. 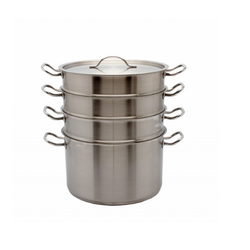 Offered by us is an excellent range of Stainless Steel 4-Tier Steamers to the esteemed customers in varied specifications. 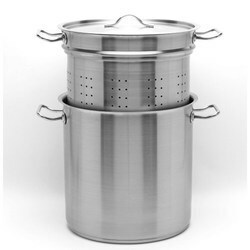 The entire range of steamers is designed to cater to the needs of steaming momo, vegetables, sweet corns and others. Moreover, we check these steamers on certain well-defined parameters before their timely delivery at the clients' premises. 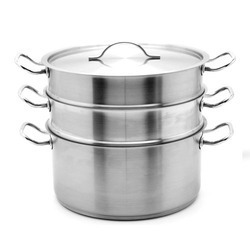 Stainless Steel 2-Tier Steamers release less heat to the kitchen environment, therefore helping keep the kitchen cool during hot summers. We can offer you 2-tier, 3-tier, 4-tier or 5-tier steamers as per your requirement. 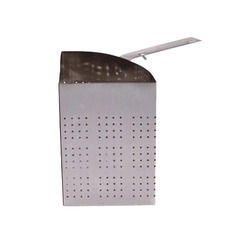 Comes with 5mm and 12mm steaming holes. 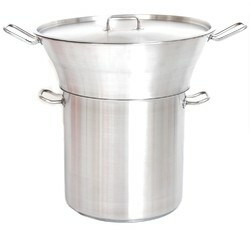 Ideal for Steaming Momo, Vegetables etc. 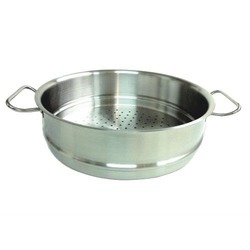 The range of Pasta Steamers offered by us is widely used in the preparation of various pasta dishes. These products are designed in compliance with the international quality standards, by employing latest technology and machinery. Moreover, Pasta Steamers are checked on certain well-defined parameters to gauge their flawlessness, before their dispatch. 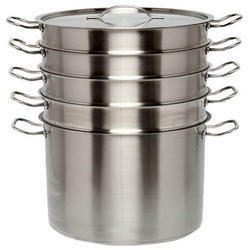 Offered by us is an excellent range of Couscous Sets to the customers, as per their demands. 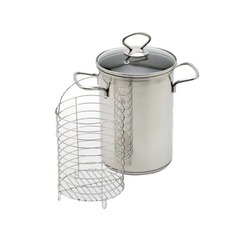 We make sure to offer these couscous sets in varied shapes, sizes, grades, finishes and other specifications. Moreover, our quality controllers check these products on certain standard parameters to gauge their perfect nature ensuring that our customers get a range of flawless Couscous Sets from us. We make sure to offer an excellent range of Pasta Separators to the esteemed customers, as per clients' specific preferences. 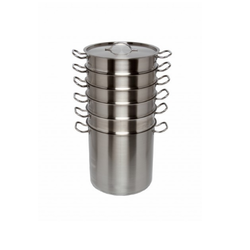 These products are made in conformation with the international quality standards that have increased their demand in restaurants and such other places. In addition to this, we consider clients' specific requirements while designing or manufacturing the range of pasta separators. 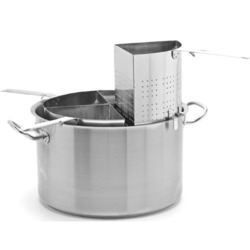 Looking for Stainless Steel Steamers ?